Great tribute to Tom. I’ve only know him a few years but we always get together at all the SharePoint events. I first met him and Galen at Ignite and we all hung out every day. He was so easy to get along with and fun to have around. We shared many of the same passions and could talk for hours on geek stuff. He is responsible for me coming out to San Diego each year. Besides the work stuff, I admired his love for his family the most and how happy and proud he was. He will be missed.. Wonderful Tribute Joel…. I owe a lot to Tom. After meeting him at IAMCP, he brought me to the user group and SharePoint Saturday communities. Besides being a kind friend and talented business partner, he introduced me to his inner circle… People like you, Dave & Nichole, Chris & Sheila, Tim, Ryan, and Sal…. I am blessed to know Tom for the past two years and be accepted into his family of friends and associates. I learned a lot from him as both a human and professional and will miss his passionate and loving spirit profoundly. Thank you for being such a great person yourself and really appreciate this tribute and everything you meant to him as a friend. There will be a void without him but we can keep his memory and spirit alive by harnessing his passion for the community. 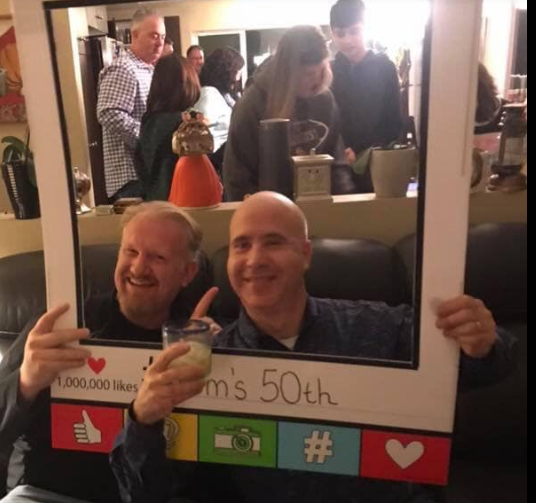 I raise my brass cup of Moscow Mule to you, Tom, and all of the people who know and love Tom. God bless.